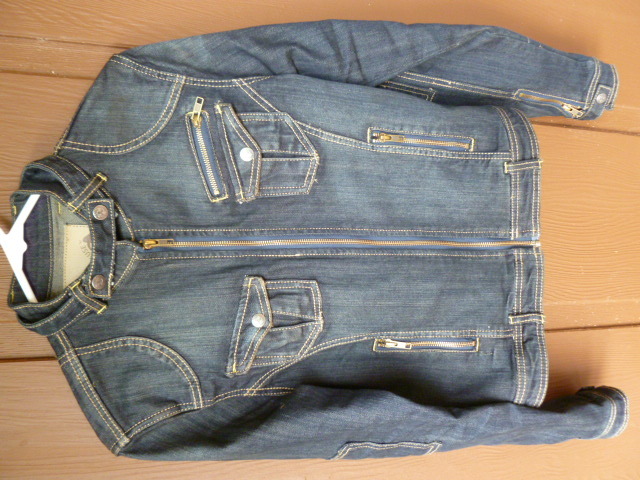 Love my new denim jacket. Fashion Forum member and Hifi co-founder Toby Portner once told me that her favorite garment in the world is a denim jacket and she is always on the lookout for the perfect one. Indeed, a denim jacket remains a staple in many women’s wardrobes, including mine. I haven’t bought a new denim jacket since I found one in Sundance, Utah, about 15 years ago…until I spotted this one in Super Citizen. Isn’t Sandra Fowler a great buyer? I must confess that I bought it for its looks, but how great to know it’s also eco-friendly. This entry was posted in On Our Radar and tagged Sandra Fowler, Super Citizen. Bookmark the permalink.